Writing and running are activities connected by extended metaphor: while running is prose, hill (or fell) running is poetry. This sport, therefore, demands writing of the highest ilk. 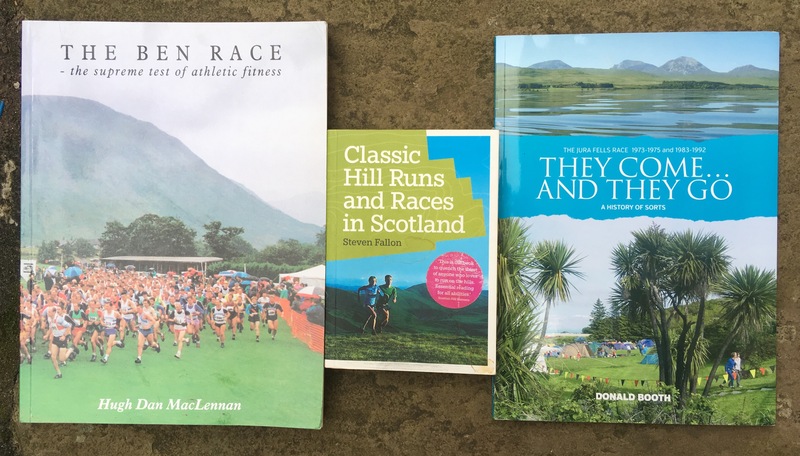 In the course of research for my own book on hill running, The Mountains Are Calling, I have read and re-read reams of literature: some of it great, some of it simply informative, some of it that does not always do justice to the sport. The breadth (and arguably quality) does not yet match the genres of road cycling or mountaineering, for instance. Perhaps the ethos of hill running and the modesty of its participants – with self-promotion seen as something to be avoided – stymies the genre? Nonetheless, the sport has been and continues to be celebrated in words. Below is a list of the best books we have. It has become a cliché to cite Feet in the Clouds as inspiration: the reason why you started hill running or became embroiled in the romance of the Bob Graham Round. I am a cliché too. But why Feet in the Clouds continues to matter is its seminal role in demonstrating that hill running is poetry. Essentially, the sport deserved this book – a book that showed writing on hill running can be literary. Steve Chilton has been busy over the past five years, producing three books on hill running, largely focused on the English scene. Of the trilogy, it is The Round I find myself coming back to. Ultimately, it is the people that make fell running interesting – and that is when The Round is at its best, when we hear the voices of Billy Bland, Nicky Spinks, Jim Mann and others. Despite being primarily pitched at hillwalkers, a chapter entitled The Fell-Running Phenomenon recounts the development of Munro round running records, starting with Phillip Tranter, and progressing to Charlie Ramsay and Jon Broxap, who both extended the number of Munros climbed in 24 hours. Dempster’s focus is records, but he ultimately celebrates the record breakers and the ‘true devotion’ that drives them to the ‘inspirational spark’ of the hills. Although not exclusively a book about hill running, Run Wild nonetheless captures the spirit of the sport and a desire to engage with the natural world. Boff Whalley sees the ability to ‘run wild’ as a gift: that the thrill of mountaintops, glens and riversides elevates the running experience. We can all empathise with that. Hugh Symonds is synonymous with mountain-running legend. Over 97 days in 1990, Symonds climbed the 303 mountains of Scotland, England, Wales and Ireland that rise above 3,000 feet in a continuous, 2,000-mile journey. That no-one has repeated the feat is evidence of its toughness. ‘The run had never been a rush,’ he concludes, with ‘running being just a natural way of moving through mountains’. At the centre of No Map in Hell is a literal map – a map that, as my old geography teacher would have said, tells a thousand words. And much more. Birkinshaw’s feat is astonishing: 214 Wainwrights in seven days, a distance of some 300 miles; the map of his chaotic route is like a cruel joke. The narrative is matter-of-fact and there is little poetry here, but Birkinshaw has other things to worry about, not least a scarcely imaginable exhaustion and the wretched state of his feet. In 2000, Charlie Campbell, a Glasgow postman, completed a continuous round of the Munros in 48 days and 12 hours, travelling by bicycle and on foot, and kayaking the Sounds of Mull and Sleat. Millennial Munros is the story of that remarkable journey, spanning Scotland from Ben More to Ben Hope, and marked with celebratory ‘packets of crisps and nuts’ in the Tongue Hotel. Inspired by Charlie Campbell, Manny Gorman set himself an undoubtedly harder proposition: a self-propelled tour of the 219 Corbetts. The prose might be a little rough around the edges, but the narrative is unremittingly honest. Some writers on the outdoors feel the need to hyperbolise, be it relative hardness or conditions. Not Manny. He is as tough and determined as they come – a 69-day, 2,000-mile journey is testament to that. At the culmination of the account of his 214-Wainwright, seven-day run, Joss Naylor says that he is ‘not a great one for words’. I would say that Joss Naylor MBE Was Here is just about perfect: a pithy, real account of unfathomable scale. To borrow the title of his introduction, this is ‘Something Special’. And that could be the epitaph of this sport. If a reminder is needed that hill running is a national sport in Scotland, look no further than Steven Fallon’s pocket book. He describes the routes of races and runs that span the breadth of Scotland, from the Borders and the Grampians, to the rugged heights of the far north and the faraway Hebrides. The book lacks the obsessional detail of some guidebooks, but is all the better for it. Fallon’s job here as much to guide as it is to motivate. Ever since William Swan ran to the summit of Ben Nevis (and back) from Fort William in 1895, the notion of racing up and down the UK’s highest mountain has captured the imagination. Human nature has changed little – what inspired a Victorian tobacconist continues to impel runners today. The Ben Race is a celebration of just that.